For many of the youth, the Canine Connections Rescue & Therapy Program is their first bonding experience with an animal and perhaps with anyone. It is the first time they’ve found a living, breathing creature that will accept and love them unconditionally, without judgement, neglect or abuse. 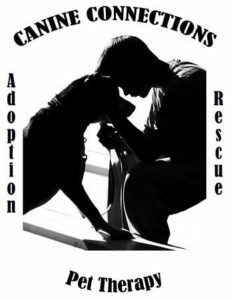 Our mission at the Canine Connections Rescue & Pet Therapy Program is to improve the lives of our at-risk youth, promote their mental and emotional growth, plus provide a potential future vocation. This unique program can serve as their crucial starting-off point to love and trust. Although our focus is on at-risk youth gaining a second chance at a brighter future, there is also emphasis on the shared bond between the dogs, juvenile trainer and eventual owners. The entire process inspires hope and provides the ultimate feeling of satisfaction that contributes to the mental, emotional and physical well-being of the youth involved. Volunteer your time: either during class (12:21 ~ 2:30PM) to work with the kids and dog training, or on weekend for feeding and cleaning. Volunteer with your group: Help with the bigger maintenance work on the yards and kennels. Donate: always need treats and sturdy chew toys, flea treatment and dog food.